Let’s review the pattern shall we? Human receives inspired idea or dream. Human becomes excited about said idea or dream. Human allows negative influence to discourage him or her regarding the idea or dream. Human retreats from pursuing the idea or dream. Human watches others live their dreams until a positive influence reignites the inspiration he or she once had. Look at number three. Acknowledge that you have experienced it. Now, cross it off the list. Then erase four and five because you are now carving a new pattern. A pattern of success. Never again allow any negative influence, whether it be your thoughts or the opinion of others, to discourage you from pursuing your dream. Never again allow doubt or fear to be the reason you didn’t at least give it a few honest tries. Set your mind, your eyes, your goals, your daily actions on the desired result. Make that all you see, all you hear, all your mind can process. Be courageous. Just try it. You’ll get so much father than step five of the above pattern. Set your sight on your dream! Be fearless! P.S. 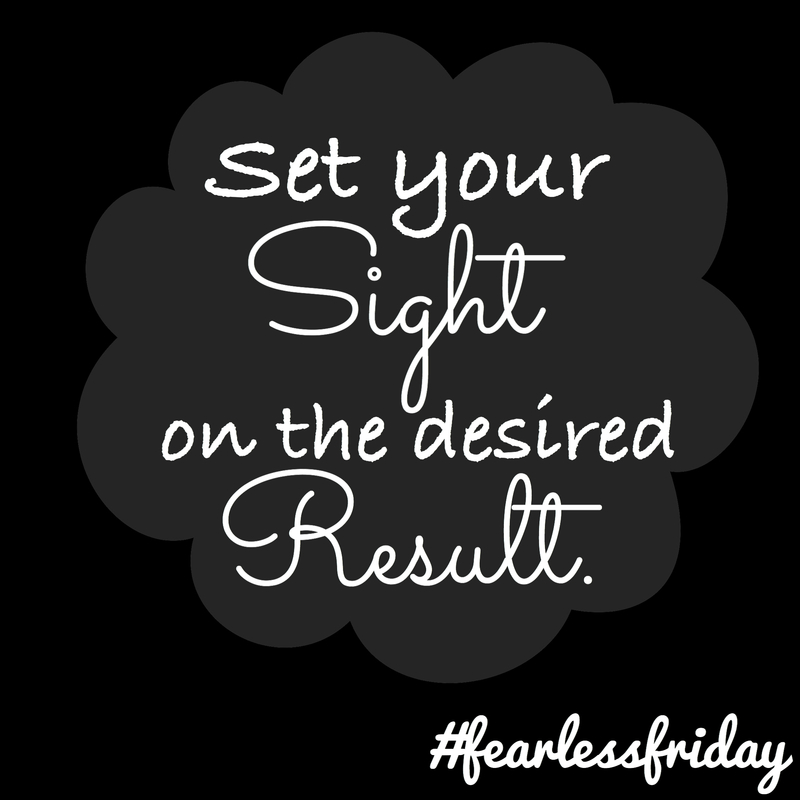 To see last week’s Fearless Friday just click here! Make sure to like, share and subscribe via email if you haven’t done so already! Thank you so much for stopping by today!